Here I am. 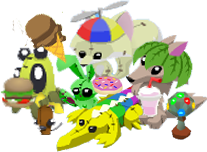 Did you know Animal Jam HQ has a new blog? Its cool! Interview with pizzadrop, expert jammer! Mister Chunkybuddy: Pizzadrop, I have some questions for you. Mister Chunkybuddy: We 3, Sporty, Rocky and me have an AJ site, like you. Large Rockymaster: Could you tell us cool things you know loads. Mister Chunkybuddy: For example, tell us about the day I found you and there were 3 or 4 like you. Mister Chunkybuddy: Pizzadrop, why are there impostors in AJ? Sir Canyonmoon: Some people are fans. Sir Sportystar: Why don't you report them? Sir Canyonmoon: They can have the names they want, but if they do wrong things you can report them. Master Firstboy: I am the leader of an anti scammer community. Mister Chunkybuddy: What is exactly scam? Master Firstboy: Scam is when people take your items in some sort of way, if people ask You to borrow items never do that. Large Rockymaster: And, do you know anything about AJ guides? 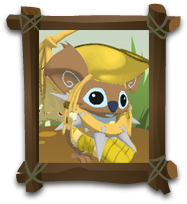 Master Firstboy: Animal Jam HQ use guides to test items and they use them for pictures and videos. Mister Chunkybuddy: Thanks pizzadrop bye! Hi, jammers! I am back on the blog, and I am bringing my friends with me! They are the new Owners! and they will put cheats and codes too! Hello Jammers! Im Largerockymaster and I will be posting on this blog too.. See ya!! And I am Sir Sporty Star, most of the time Sporty. If you want to trade whith me, do the buddy search! My mate Large Rockymaster found a very very strange thing! Did you know that some crazy eagles appear when lots of people are jumping on the bridge on coral canyons? Hint: If you cant see them, go to the game sky high and then leave it, and go quikly to the bridge when everybody is jumping. Do you remember I sent AJ a suggestion 4 no member pets? It's super wild to hear from you, and might we add, it's great to hear you're enjoying all of your awesome adventures in Jamaa! Here at Animal Jam HQ, we are always hard at work making sure Jamaa is a fun, exciting, and safe place for all our Jammers. We love listening to your suggestions on how we can make it an even wilder place for all Jammers to enjoy. Thanks for the awesome ideas! Rest assured, we will pass along your feedback. In the meantime, if you want to stay on top of all the latest news, be sure to check out the Jamaa Journal newspaper which is updated every other week! Have fun, be safe, and thanks for helping us make Jamaa THE place to be! Its the strange den I talked about before! The tree changed! Tell in a comment what you think. Here is an image of all de space full. I got an awfull lot of gems. Today I found an awesome den! This one is called Tan carpet. The owner says that it was for sale a year ago and that Animal Jam HQ put it accidentaly. The other item is even more cool. I dont know anything about this one. Next time I see the owner, I will ask him about the tree, and also about if I can put his username so you can visit his den. P.S. Coment about what you think about this items! I think (And some of my friends too) that there should be no member pets. Even if you couldn't customize or wash them, or even if you could only have one and only a determined type. So if you think the same as me, leave a comment to tell me. Happy 2012 by the way!